So what kinds of trainings exist in NLP, how far can I go and what is right for me? The chart above shows your options from a basic introduction to becoming a Master Trainer, someone who trains trainers. How far you go depends on what you want to achieve. From a few hours to a few days this option provides an opportunity to know a bit more about NLP before you commit to a full training course. It also allows you to experience the trainer for style. From 1-4 days in duration. It will cover basic NLP methodologies such as state management, language patterns and rapport. May include a certificate. Offered in a number of formats and durations typically from 7 – 20 days it will cover core skills and techniques in NLP. Some are classroom only based; others provide a combination of classroom and home study. Some courses will also include tasters or full certification level training in other mind techniques such as Hypnosis and Time Line Therapy™ Techniques. Offered in a number of formats and durations typically from 9 – 20 days. Some are classroom only based; others provide a combination of classroom and home study. Builds on Practitioner syllabus and also adds in significant areas of new material such as values, meta programs, modelling and advanced language tools and techniques. Some courses include the opportunity to complete a full end to end 1 on 1 coaching session with a fellow student to integrate techniques learnt in class. Offered in a number of formats and durations typically from 12 – 20 days. Covers presentation skills and key techniques to enable you to train NLP Practitioners and Master Practitioners. 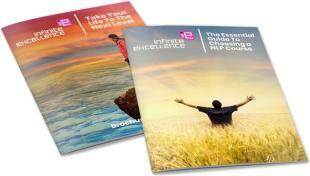 Training from 3 to 5 years in duration to allow you to train trainers of NLP. Includes supervision from existing Master Trainer. Many organisations will offer students the opportunity to assist at trainings to increase their exposure and increase their knowledge and abilities in NLP.